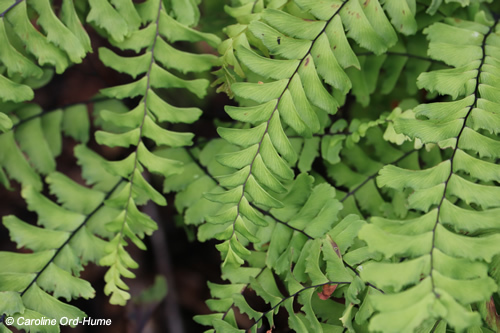 Adiantum pedatum L, with common fern names being Five Fingered Maidenhair fern, American Maidenhair fern, Northern Maidenhair fern, or Five finger Fern, is wonderful for shade gardens as you can see from the images. 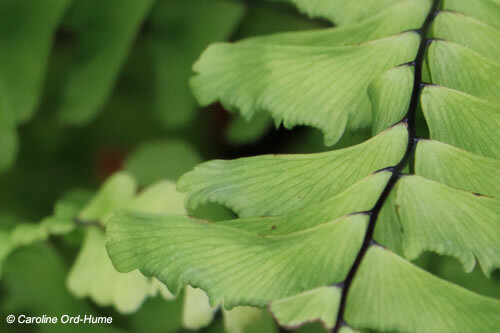 Five Fingered Maidenhair ferns are deciduous with growth to approx. 45cm height, and a creeping short rhizome growth to form into a clump. Stunning black stems and branches leading to green fronds spreading like five fingers, in spring the new fronds can be pink. Grow in full shade or partial shade in south, west, or east facing aspects, in sheltered or exposed settings. 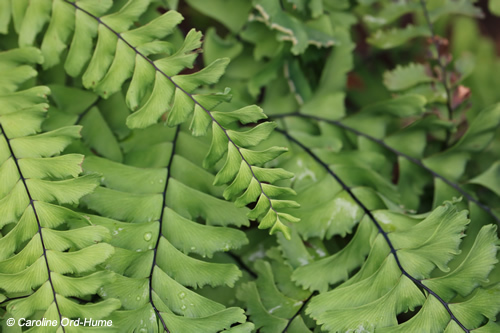 Shade loving ferns enjoy low maintenance informal garden settings such as beneath trees, bushes, and flower bed borders. Cultivate in moderately fertile soil outdoors with humidity level medium to high, filtered light, and good ventilation. A monthly feed of a liquid fertiliser can be applied at half strength through the growing season. Five Fingered Maidenhair ferns do not require any pruning. Damaged fronds can be removed in spring. When kept under glass you can get issues with scale insects.